We are here to deliver exceptional experience, It’s with pleasure to share with you our passion for making life’s every moment, and every occasion memorable by indulging in chocolate. Maschio Brut Prosecco, Veneto N.V.
Marquis De La Tour Brut Rose, Loire Valley N.V.
N.Feuillatte Brut Reserve, Champagne N.V.
Moet Et Chandon Brut Imperial N.V.
MOTHER’S DAY BRUNCH PRIX FIXE MENU SUNDAY, MAY 12 $45 per person & $20 per kid from 10 am till 3 pm. Price per person includes an assortment of breakfast pastries, coffee, tea, sodas, iced tea, pineapple juice, cranberry juice, and Mimosa. Please go to our website to see the menu. Thanks! FATHER’S DAY BRUNCH PRIX FIXE MENU SUNDAY, JUNE 16 $40 per person & $20 per kid from 10 am to 3 pm. Price per person includes an assortment of breakfast pastries, coffee, tea, sodas, iced tea, pineapple juice, cranberry juice, and Bloody Mary. Please go to our website to see the menu. Thanks! The food was incredibly delicious and beautifully presented, and the service was outstanding. What a gem. I’ll be back again and again. The food is amazing and so are the desserts. I highly recommend this restaurant. It our favorite spot to go for dinner. 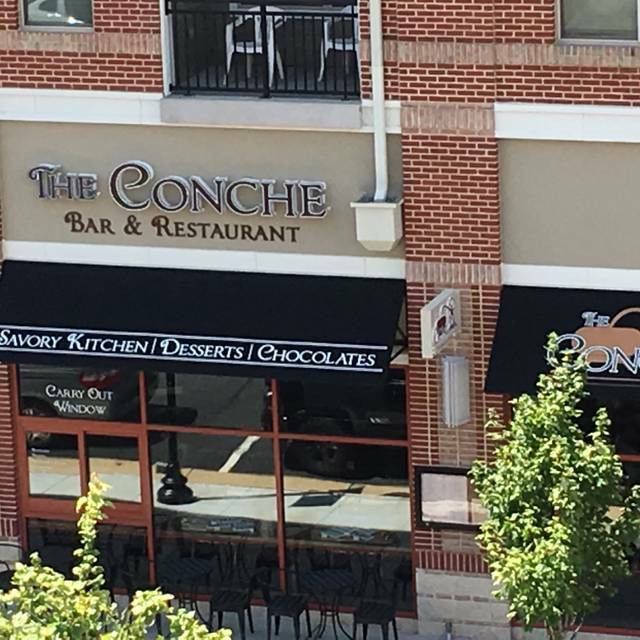 We went to The Conche for Easter Brunch. The food was delicious and the staff were very attentive and welcoming. 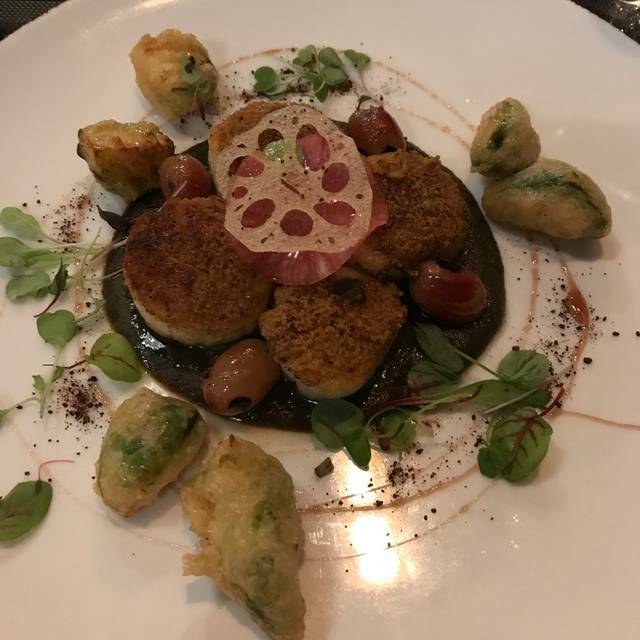 The Pre Fix menu was a perfect combination of flavors and options, and it was reasonably priced at $45 each for a four-course meal. Loved it from start to finish. We will go again! What a lovely Easter brunch with my husband. Thank you! Deciced to try this place for our 10yr wedding anniversary. 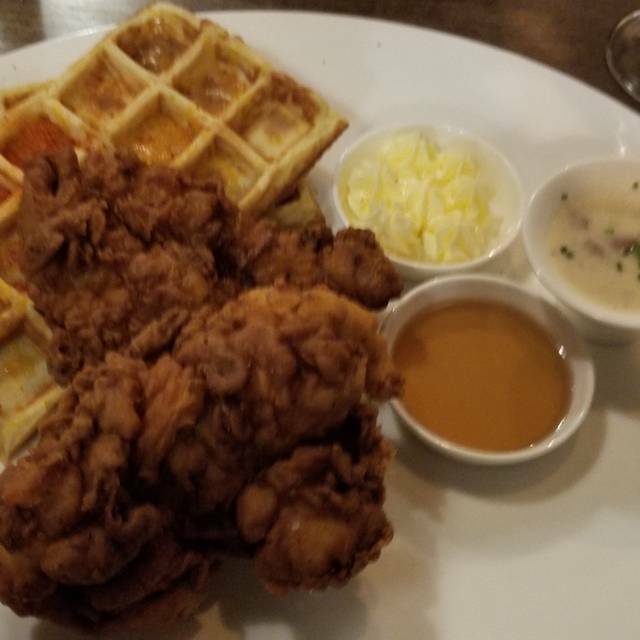 We haven't found many restaurants we love since moving from Texas but this did not disappoint! Was a bit pricey but definitely worth the flavor & experience! Our waiter, also a sommelier, was very knowledgeable on the food & drinks. Other waiters stopped by frequently to see if we needed anything as well. Very clean, service was great, presentation is beautiful and food was AMAZING! Also, as someone who loves chocolate/flavored martinis- this place has some of the best I've had in my worldly travels! Can't wait to go back! The food was beyond awesome! We had the short ribs; tender, rich and flavorful. Rib eye cooked to perfection. Scallops also cooked perfectly. Dessert was the main goal so, we ordered the Entrement ...2 of them actually. Served table side with great showmanship. Everyone stopped to watch as our dessert was prepared. There are not enough words to describe the utter deliciousness of this dessert. Lots of flavors, textures, sauces...perfection. The six of us ate every single bite with absolutely no hesitation, guilt or haste.. simply fabulous. So happy to see Chef Tiptur again! Everything about it was amazing- great service and absolutely fabulous, beautifully presented food. This was the perfect place for my husband and my celebration of our wedding anniversary. Everything was so good and I can't wait to go back for another occasion. We ordered the tuna poke appetizer, steak, and scallops for our entrees, and a dessert which was divine. Everything was delicious. Next time I would order the short rib which looked amazing. Outstanding! The menu does include chocolate in most dishes, but it's in small and appropriate amounts. 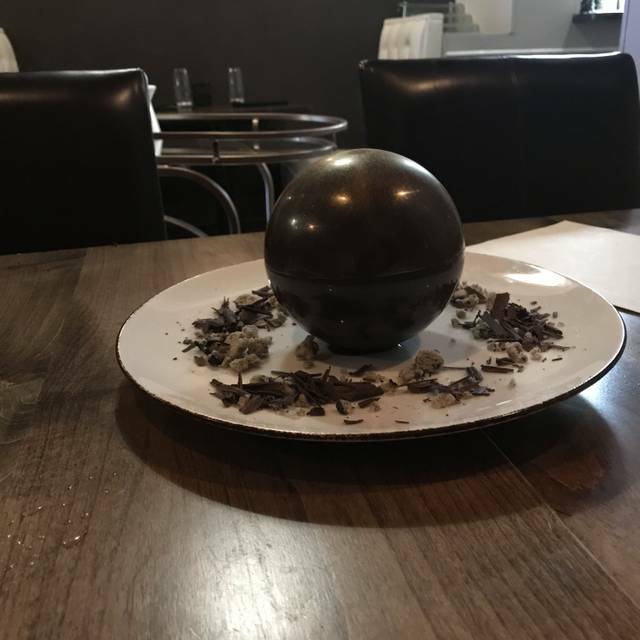 The chocolate theme is interesting, and it adds to what is overall very, very good food. 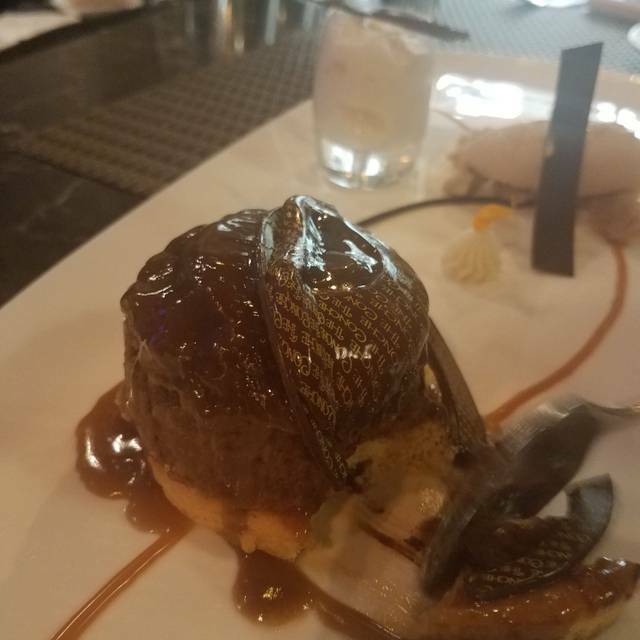 The desserts are fantastic - they alone are worth the trip! Overall it was a very memorable dinner. Highly recommended. Always an amazing experience at The Conche. Their food, drinks and service are always amazing. This is a must place to visit if you enjoy outstanding cocktails, beautifully prepared foods and delicious deserts. I highly recommend this restaurant. We went early on Saturday - had a reservation. Sat us immediately, the server was perfect - super knowledgeable about the food, food was delicious and timed just right. Drinks were great. Great experience. Yum! Definitely a special occasion place, but outstanding meal and great service. Looking forward for an excuse for a return visit. Food and service were outstanding! Love, love, love this restaurant. One of our favorites and so thankful we don’t have to travel to DC to find this level and quality of food and level of service. We eat here at least twice a week and brunch on weekends. Unique and so delicious with the freshest ingredients. 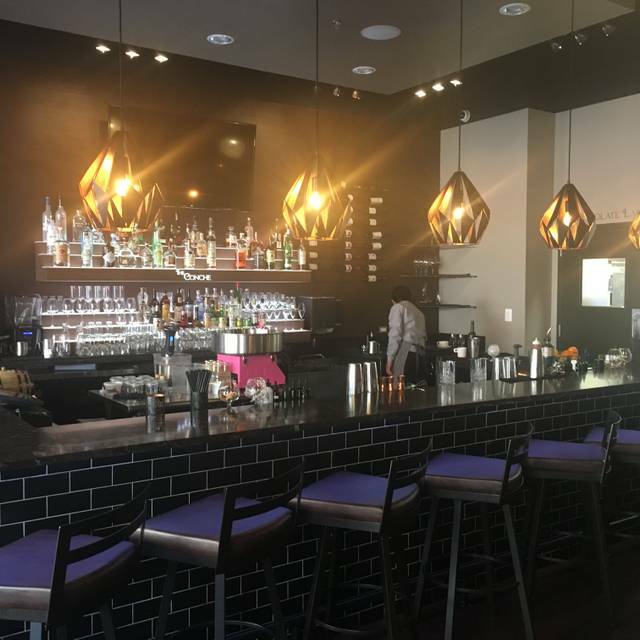 The chef owner is so dedicated to bringing authentic cuisine with a twist (not run of the mill pho cuisine) and his love of food shows in each dish. Favs include oyster or pork belly appetizer, any noodle dish, bread pudding or donuts for dessert and authentic Vietnamese drip coffee. Maybe the best meal I have ever had. Everything from the appetizer to salad to main course was amazing. Oh, and don't forget dessert which blew me away. The waiter was friendly, knowledgeable, and spent the appropriate time with us to feel welcome but he wasn't hovering or intrusive. The drinks were the highlight! The Chocolate Moussestache was great and I loved the Fetish which tasted like a chocolate covered Strawberry! The meals were delicious and the dessert was incredible! Fantastic restaurant with amazing food and service! Love, love, love! This is a quietly showy place -- very good cuisine presented in a relaxed environment, with a flair, but not boasting about it. Don't worry about the chocolate seasoning in dishes in which it does not seem to belong. In some dishes, cocoa nibs and Mexican chocolate add subtle flavors that are not commonly used in American cooking. In other dishes, you really can't detect the addition. The wait staff covers for one another, providing service whenever/wherever needed, and all were extremely personable. This is not a restaurant for intimate occasions, but it can be enjoyed on a regular basis for something slightly special. What a fantastic experience! The place is cozy, service impecable and food was outstanding!!! 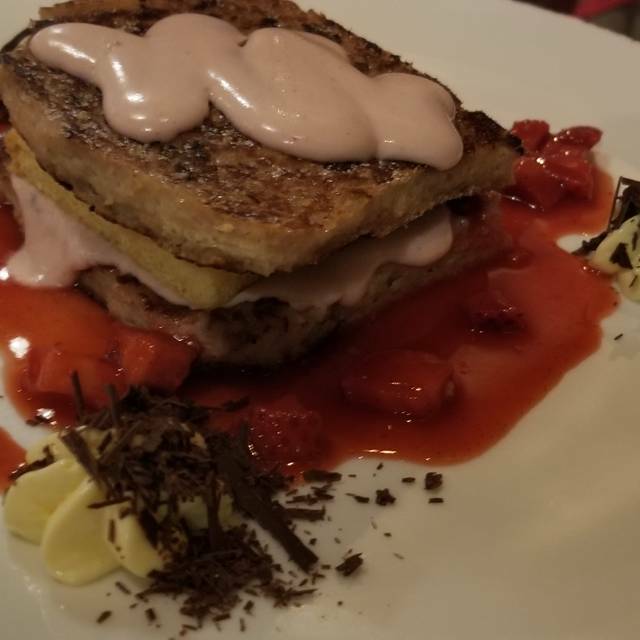 I took my friend to the conche so they could experience how wonderful the food was and the service. I will definitely be coming back. Best restaurant in Leesburg. A wonder place to spend a birthday. Chocolate and drinks are divine. Food wasn’t the best. If we return, would go for dessert only. 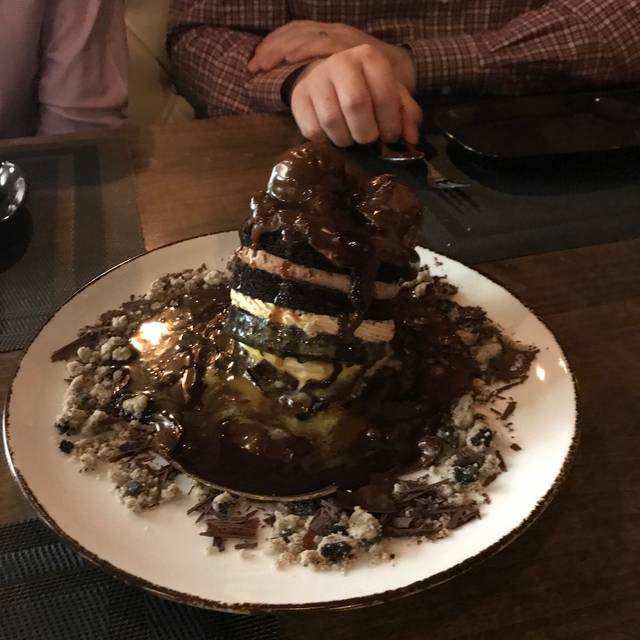 Celebrated a birthday and no birthday dessert offered, so we purchased one to share. Amazing experience from the service to the food! We will be back! I would give this all 5 stars but one dish was not enjoyable. Left most of it on the plate and moved on to next course. It was wonderfully delicious. The vegan menu could be spelled out a little better and they could have more vegan desserts but it was quiet wonderful overall. Very pleased, will be one of my go to places for out of town guests. Interesting place, but it was difficult to hear our server over the noise. 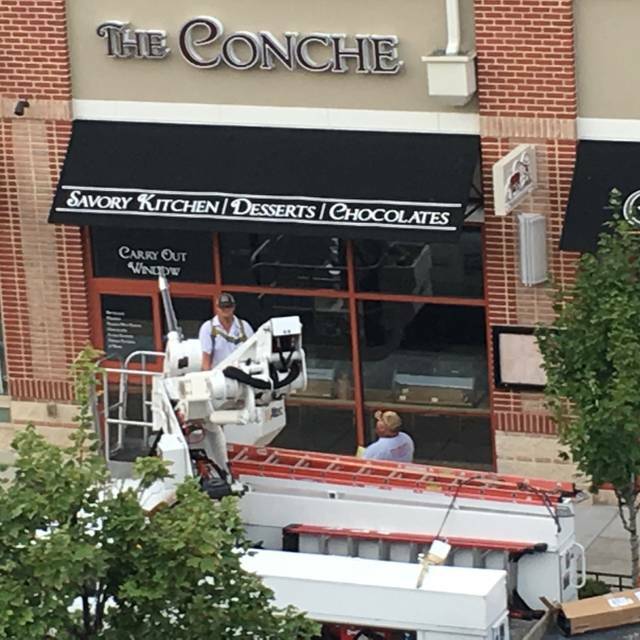 I've been hearing about Conche and Sunday brunch did not disappoint! The food was amazing, I highly recommend the Steak & Eggs flatbread and the service was spectacular. Prior to my reservation, I attempted to use my Open Table points when I made the reservation. Although my points were not used, The Conche failed to credit me for the reservation. Way over priced for the area, food and drinks. The lobster tagliatelle had 5 pieces of lobster and a large amount of pasta - $34. The champagne flight was small and standard - $20. The food was average. The chocolate flair The Conche is adding is nice, but if you’re not into chocolate, don’t waste your money. Best restaurant in loudoun county. Food is amazing, service is great. Not aware of any other restaurant that comes close to this quality in loudoun county. Lived up to the hype. Wish the tiny booths weren't so tiny. Felt like a NYC restaurant experience with incredible food at NYC prices. I highly recommend a couple of apps before the smaller-than-normal entrees... And don't skip dessert! The salted caramel one at the top of the dessert menu is a perfect end to a great meal! Small, busy and noisy but a delicious meal. We weren't served until 30 minutes after our reservation, but the service and food and drinks were all so outstanding that I wouldn't even dock the review a single star. This place rocks! Best meal we’ve had in years! Everything was amazing! A hidden gem snuggled in an otherwise unremarkable shopping center. The Chef Owner is an active participant in the dining experience but his presence is simply as a member of the team that works together to enhance your experience. My chocohloic wife was in ecstasy throughout the meal. Our waiter Randy is as good as I've ever experienced and did a great job of explaining nuances and tailoring recommendations to our tastes. Not inexpensive but well worth it! The artisanal chocolates on display up frobt are incredible! We will definitely be back! Two of four entrees were great. Two were so so. The halibut was over cooked and not the nicest fillet. The short rib was tasty but a very disappointing portion size (tiny). Desserts were delicious.